Originally from Cameroon, Aristide "Aris" Toundzi has successfully navigated financial management and wealth generation as he transitioned to life in the United States. Specializing in end-to-end digital enterprise transformation in support of business objectives, Aris has many years of experience in international consulting in multiple industries and a passion for using technology education to transform communities. In this episode, we discuss how Aris’ community in Cameroon found ways to benefit the community by investing in the individual members through teamwork and a mutually beneficial system. He shares his advice on funding, education, and goal-based financial planning, as well as valuable lessons he learned on the way to success. How being from Cameroon has shaped Aris' view of wealth and finance management. The unique practice Cameroon communities use to benefit and grow their community. How Aris navigated his personal finances when he first moved to the U.S.
His best advice on using credit cards to acquire points. How he measures personal success. How he views money in the grand scheme of things. What he would do with unlimited money. How he is involved with educating and planting seeds of entrepreneurship. The most successful way to generate wealth in his opinion. What Opportunity Funds are and how they work. Aris' best and worst financial decisions. 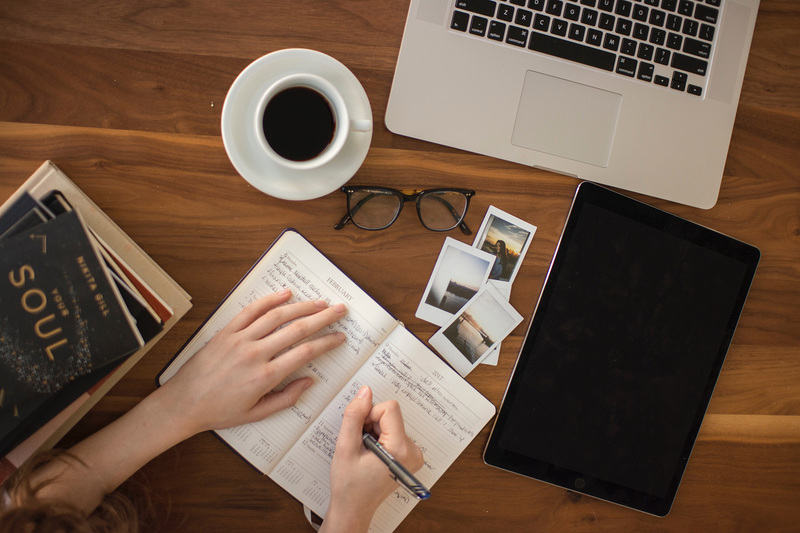 The importance of creating qualitative goals instead of quantitative goals. The basic rules Aris follows when it comes to money. Welcome to the Myra Wealth Podcast. Myra Wealth provides personal finance services to international and multi-cultural families in the United States. Each week our founder and CEO Sahil Vakil interviews highly successful international and multi-cultural individuals to uncover how they managed their money. And how they navigated some of the most important personal finance decisions of their lives. Learn from these first- and second-generation immigrants just like you. And from Sahil himself on how to better manage your money and make smarter financial decisions. Here's your host Sahil Vakil. Sahil Vakil: Welcome everyone. Welcome to the ninth episode of the MYRA Wealth Podcast. Our guest for today's podcast is Aristide Toundzi. Aristide also goes by Aris. Aris is a senior manager in EY's financial services office FSO practice. He's originally from Cameroon in Africa. Aris specializes in end to end digital enterprise transformation in support of businesses objectives. Aris has covered, the entire transformation life cycle including strategy development, operating model redesign, service and process transformation, automation and systems implementation, organization change, and benefits realization. Aris, has more than 14 years of international consulting experience across multiple industries including financial services, real estate, manufacturing, pharmaceuticals, and media entertainment. He has an MBA from the Wharton school and has a double master of science, in computer science and strategy, marketing and financing from a top French engineering school in Paris. When not serving clients, Aris enjoys helping shape EY's growth strategy in Africa, is in technology, education, that transformation communities and learning languages. 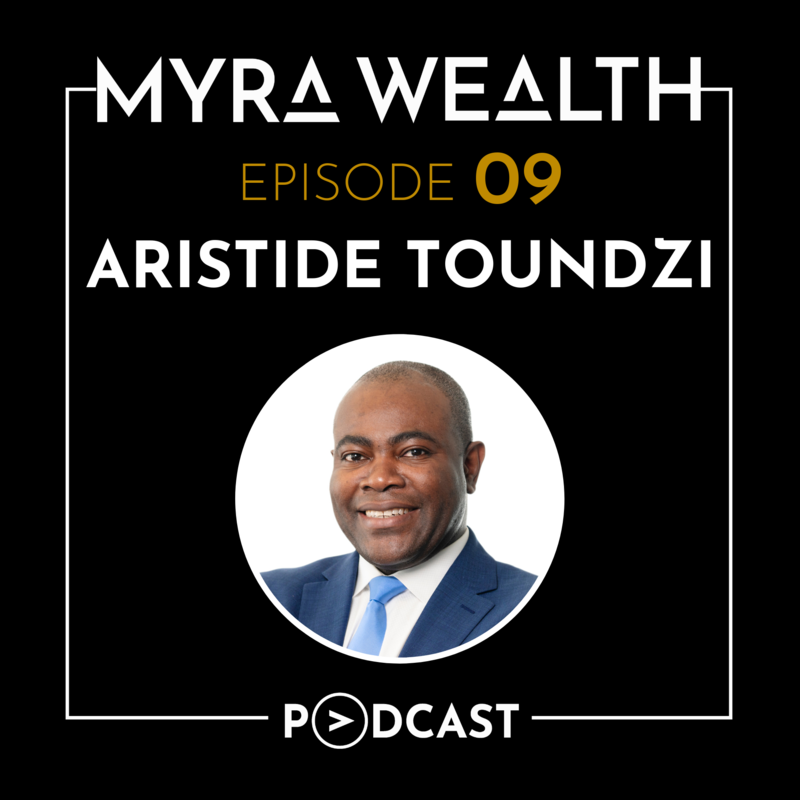 With that introduction, I hope you enjoy the MYRA Wealth episode with Aris Toundzi. Welcome Aris, welcome to the MYRA Wealth Podcast. Aristide Toundzi: Thank you, Sahil. It's a pleasure to be here with you. Sahil Vakil: Aris, it's a pleasure to actually have you in this podcast. I mean, I have known you now for a few years. You and I went to Wharton Executive MBA program back in 2014. It's just amazing, I have seen your journey from 2014 and onwards. But I also do know, you have a very rich history before that. If you don't mind, just introducing yourself briefly, that would be fantastic. Aristide Toundzi: I'll do my best to share with your audience. So I was born and raised in Cameroon, West Africa. Parents were in education sector, and we grew up with that appetite for knowledge and learning. Subsequent to that, went to school in France in engineering sector. And I have been in the US since 2003. I'm in the consulting business, financial services. And then as you mentioned, I spent time Wharton, and during that time really performed a number of different experiences, relations. That really helped me understand what I would like to do next. So very excited to be here with you. Sahil Vakil: That's amazing Aris. So I mentioned that you grew up in Cameroon. Take us back to your Cameroon days. Tell us, how was life back in Cameroon as a child growing up, and more specifically, since this is show on money and personal finances. Help us understand, how did your family or other Cameroonians in general deal with money and personal finances when you were back in your home country. Aristide Toundzi: What I would say, it's a developing country. So people do have to focus on the fundamentals. Providing a good education to their children, investing into residential real-estate. Everybody really have a desire to owning a house. Just kind of part of that wealth building process. And then, really being part of the community. I think if there is one thing that is really striking from my childhood, is being part of that community. And along with that comes with different way of conceptualizing money. So the system where people can mutualize somewhat limited resources to be able to achieve really great things. By coming together as a community, pulling those resources together and then rotating. The sharing of that pool of resource so that somebody can send a kid abroad, somebody can buy a house. Launch a venture. And I think that what really what stroke me as I was growing up in that system. That allowed sometimes limited resource to achieve really amazing things. Sahil Vakil: So this is the modern day crowdfunding right? Understanding this correctly, this is individuals in Cameroon basically bringing all of their resources and funds together in one place like a crowdfunded campaign. And then basically identifying, who is the most in need. Is it merit based, is it need based? And then they basically say, this person needs to be educated. So let's now spend, this month's savings or accumulation on this person's education versus, we need to buy a home for this person, so we buy a home. Is it the modern day crowdfunding system that has been happening for decades back in Cameroon? Aristide Toundzi: I think there are definite areas of overlap. But what I would say, it's not necessarily merit based. I think, if you are part of the community, and your name is in good standing. You get to benefit from the system, and it rotates from one family to the other. There are different flavors but fundamentally is the same. If you have kind of ten families partaking in that system. Every family will have a portion pool of resources awarded to them at a certain point in time. And then you rotate, the frequency varies. Sometime it can be week, sometime it could be a month. But it rotates, and the idea is that everybody at some point will get the entire pool of resource to be able to do what they need to do. What I would add to that, is not just the sharing of the resource, there is a lot of different things that comes from that system. So I mentioned earlier, that having your name in good standing. You can think about it as, like your credit score. Somebody wants to lend you money because you have a name and good standing in that community. On that basis, they will lend you money. Being able to have credit, so to speak, it's also a way to have strong network, relationship, that you can then leverage for different things. Is way you can get support, a lot of things that come from it. It could be a pool of potential customers, if you're looking at launch a venture, if you're looking at raising capital on the side. The people in that community can also be your initial investors. There are a lot of things that come with that rotation of resources if you will. Sahil Vakil: That's aa very interesting concept. Let me ask you though, were you ever beneficiary part to one these kind of social, community driven funds and did you see an impact in your life coming out of this? Aristide Toundzi: Yes, absolutely. The investment that my parents have made over the years typically came from that system. So of the major capital outlets we've done in our family came from that system. So yes. Sahil Vakil: That's fantastic. This is fascinating to see how, especially in emerging markets, how community, families and friends, society comes together to uplift the entire community in that sense. And it is just fantastic to see that. Thank you for sharing. I think the other thing you also mentioned was all this whole concept of owning a home, educating your children. Are these embedded or ingrained in society as kind of common financial goals that Cameroonians have by default? Is it always a default to educate your children, always a default to buy that home? So it can be a multiple generational wealth transfer technique? Is it a culture nuance? Aristide Toundzi: I want to add a caveat here, I think it's a diverse place. Hundreds and hundreds of different tribes and different provinces and so forth. I just want caveat my comment here in the sense that, they may not be fully representative of the entirety of the country. But I can comment on what I have seen growing in that part of Cameroon. And I think some things I'll share, are somewhat shared values among a number of Cameroonians. Education as a way to move into the higher echelons of society. For sure, something that people understand as an accelerate in the struggle for emergence, in the developing country. So people invest a lot in education of their children. And you will see people even raising debt to be able to send a kid abroad. Because, they understand that this is really the way to move the family forward. Sahil Vakil: I have a question on that. This is interesting. So you basically said, a couple of things. In the pervious comment you said that, the community was assessing your credit score and your credit worthiness. I don't know if a credit score exist in the country but at the same time you said that, individuals were raising debt to send their children for education. Was this debt coming from, kind of financial institutions in Cameroon? Help me understand that, because if I understand correctly, there is not credit score but there are financial institutions. So how do they actually give people debt without having a credit score? Is it just references and gambling back to that suicidal piece of, someone vouching that you are a good person? Aristide Toundzi: I think there are different ways of raising debt. People can go and get a loan. It wouldn't be the majority, I think. A small percentage of people would actually qualify for a standard loan through local financial institution. What I have seen, at least in that part of Cameroon, where I grew up is. We call it a Tontine. You got to Tontine then you can raise debt. You can take a loan in that community. And then do what you need to do. If you want to send a kid abroad, or pay for their education, you can do that. Sahil Vakil: That makes sense. So let's fast forward. You grew up in Cameroon, then moved to the United States, you said in 2003. When you first moved to the United States, how did you navigate your person finances here? Obviously, this was a new country to you, you did not have any experience here. Walk us through, how did you navigate the first? Aristide Toundzi: I think, is really families and friends. I think the first thing you do when you get to a new country is to try to find out if you have somebody from the family who is not too far. And that's really how it happened to me. I had a few cousins that were not too far where I landed. Went to hang out with them some weekends and got the basics to get going within the financial system. Some of the basic mistakes to avoid, things like that. A more long term goals, things around ownership of real-estate and things of that sort. The importance of a credit score. So it really kind of came from conversations with family members that were already here in the US. Sahil Vakil: And what were some of those basic tips they gave you? I mean, I general. What do you wish more international and multi-cultural individuals knew about managing their personal finances when they first moved to the United States. Like what were those basic tips they gave you? Aristide Toundzi: I think actually we don't think about taking a financial advisor, which I think would be a very smart move once you come here. Because, there are a lot of things that you don't know. If you come from Europe for example. Their system is slightly different. If you come from Africa, is definitely different. Siting for two hours with a financial advisor can really make a huge difference in your trajectory from a wealth acquisition perspective. Definitely I think that is something I should have done when I landed here. If I knew what I know now, I would have spent more time with a financial advisor. Sahil Vakil: Thank you for the vote of confidence, Aris. I appreciate that. So just to kind of pivoting a little, so let's talk about now, Aris. You moved to the country, 2003, 2004. Did you come here and start a job at that time or did you move here for education? Which one was it? When you moved here the first time? Aristide Toundzi: I came here for a job. Started straight into consulting. And then, education piece, came much later. Sahil Vakil: You were a management consultant, is what you said, right? Basically, when you got your first job here? Aristide Toundzi: That is correct. Sahil Vakil: That's very interesting because a lot of our listeners are looking for jobs, in that management consulting space. And one of the biggest questions we also get because we work with a lot of international students. Is credit cards, and how do you maximize points, and what are the strategies as a management consultant? You've been a management consultant for 10 plus years. Do share some of those strategies with us. How do you maximize your hotel points, or your credit card points? What are you doing that space? Aristide Toundzi: I would say the space is rather concreted. Amex kind of rules. Everyone has an Amex card. So you have corporate Amex, and then your personal Amex. Naturally you acquire points with that. So I did that very early on. And then, in terms of hotel, I think it's really, we don't have a lot of players anymore. Back then it was Starwood and Marriott for consultant. Now it is Marriott. Most people get the account, and they start acquiring point as they travel. That's really one of the biggest perks of being on the road. The fact that you're acquiring points on your Amex. They can pay for your vacation. And you almost never have to pay for a hotel, because you have so many points on your Marriott account. And those are some basic things that most consultant do, straightforward. Sahil Vakil: You take like four vacations in a year that are free for you because you have traveled so much from Monday to Thursday as a consultant? How does that pun out? Is it typically one vacation or four vacation in a year that you get to take? Aristide Toundzi: We like to break it to more frequent vacancies. So if, we have a long weekend. And we like long weekends. Like four days weekends, where you get friends and Monday off. We try to do as many of those as possible during the year. And then with the points, you really don't pay much. If it's driving distance, you don't pay anything. If you're flying, pay with your Amex points. And then the hotel is already covered. You have more than enough to go. Sahil Vakil: Makes sense. Coming back to your career. You have now been in Ernst & Young for 15 years. Is that an accurate assumption, since 2003? You have obviously moved up the ranks pretty significantly. How do you define success in that sense? Because, clearly you have seen a lot of professional success in moving up the ranks in the consulting space. But do you also define that as personal success? Or what is your definition of personal success? Aristide Toundzi: We I think for me success is really measured in the amount, by the number of lives that somebody has positively impacted. It's really about how much impact you've had in other people's lives, in a positive way. It doesn't necessarily have to be professionally. It could be anything else that has had some kind of positive impact in somebody else's life, for me that is success. Sahil Vakil: In that case, how do you define the impact? Give me an idea of what you define as impact? Is it helping someone serving as mentor in their career or, how do you define impact in that sense? Aristide Toundzi: Absolutely. If I can look back in the people I can consider successful, people that had positive impact in my life. People who mentored me for example. That's an easy way to have a positive impact to somebody's life. Because, we all need mentors. Everybody needs somebody who has been there before to just give advice so that they can avoid a pitfall, or they can have a different perspective on what they're going through. I think that's a big part of success. Is being part having a positive in somebody's life. Providing that advice and being there for somebody. It could also be providing access. As you move up, you have access to things or knowledge that other people can benefit from. Simply just providing that access to somebody else. There is just many ways. But typically, it's undeniable when you've had a positive impact on somebody's life. Typically, the person on the other end would feel that and would know whether or not it was real. Sahil Vakil: This definition clearly is very human side kind of qualitative definition of success in that sense. Do you feel like this definition has evolve for you where today you define success like that. But when you were back in Cameroon, was the definition the still the same? And I think even more broadly, do you feel like Cameroonians have a different definition of success when they're back home versus when they move to the United States? Give us some thoughts there. Aristide Toundzi: When you go through life, I mean there are different stages. When you're in school, you want to graduate, and I think success can feel like. I got to get my degree. Then you need to land a job. And you need to do well in your first job. And so forth. I think it evolves. I think over time though, you realize that those are means to an end. Because, they cannot be just an end. So I come to a place where, you start to realize that it's just not about those things. It's about what you're going to do with that. What are you going to do with that degree, in that position, that knowledge. Those experiences that you've afforded. What are you going to do with them. I think you come to realize that, success becomes impact in my mind. Sahil Vakil: So clearly for you the definition of success is being impactful, and making an impact in the lives of other individuals. In that sense then, money does not factor into this definition, what does money actually give you today? Aristide Toundzi: It because a tool. It becomes a vehicle for achieving that intent. So without it, it's harder. You need, sometimes it's not enough to mentor somebody. Sometimes that you need to contribute, and that's why I comes in handy. Sahil Vakil: Okay, so let me ask you an interesting question. So if you had an unlimited amount of money, what would you do today, would you do anything differently? Aristide Toundzi: I mean, that's pretty straightforward. Education. I would educate as many African kids as I could. Not just African kids. I think somebody famous said that, you should not educate a brand, it's such a waste. I'm paraphrasing. But there is just something about not educating a young mind there is something wrong about it. It's such a waste for everybody that you're able to provide that education to as many young minds as possible. You can really change the world. Sahil Vakil: Are you currently pursuing any initiatives in that space, either in Cameroon or in the United States, where you're giving back to society in terms of educating these children, and if you are, please do share, and we'll put that in our show notes and ensure that others are also made aware and can give back to society in that sense. Aristide Toundzi: Yes. Probably for a longer discussion but there is definitely some initiatives that we're involved in, in Cameroon. Which is really at the intersection of traditional education and entrepreneurship. Providing young minds with exposure to the entrepreneurship world while they're still at school. Is something that I part of during my training in France. I'm very passionate about. There is a lot that can be done there. It's called Junior Enterprise. It's very effective in really planting the seeds of entrepreneurship and really problem solving in the young minds. Sahil Vakil: And it's called Junior Enterprise. So we'll put that in our show notes, and we'll put a link up to that website as well. Thank you for sharing Aris. Sahil Vakil: So moving away from your professional experiences. And more to the personal finance topics. Tell us Aris, what are the personal finance topics that you are curious about today? Anything that kind of catches your mind, and you really want to get an answer to? Aristide Toundzi: I think there is definitely some interest I have around real-estate. I think there is a lot of different aspect to that asset class that are very interesting. This one particular aspect that I'm really passionate about is, wealth generation, especially in the middle class. It has proven to be the most effective way of generating wealth in the middle class. Real-estate ownership. Sahil Vakil: Talk to us more about that. What's the underline concept and philosophy? Why do you feel real-estate is the best throughout generation too? Aristide Toundzi: US is a pretty good case. If look at how the middle class in US has evolve and when you look at the- I don't have all the statistics handy, how middle class in US has been able to build true wealth, part of it has come from ownership of a home. The impact those institutions have had in true wealth acquisition in middle class, proven, part of the American dream. So I think, when you look at how the middle class is developing, and a lot of developing countries including Cameroon. There is so much that can be done there by accelerating the development of wealth, the acquisition of wealth in the middle class, through a wider access to real-estate ownership. There so much to be done there. Sahil Vakil: Talk about real-estate then. Recently with the tax cut, job's act. There was the introduction of the opportunity zone funds, which tie pretty strongly to real-estate. Have you explored those at all? What's the impact you see that they might have in real-estate market and capital? Are you aware of that at all? Aristide Toundzi: Yes. Absolutely. I've been following that and some are actually big players in that domain, asset class. It's something I'm following very closely. I think on paper, there is tremendous potential there. It's also a new market, it's somewhat less than two years old. The jury is still out in terms of making sure that the intended effect in those underserved zones actually happens. But on paper, it makes a lot of sense. You provide a tax advantage, and then you drive differentiated capital flow to areas that really need that capital to be able to recover. On paper, it makes perfect sense. Definitely something that we should continue to watch. Sahil Vakil: Opportunity zone fund is an economically distressed community, where new investments under certain conditions, maybe eligible preferential tax treatments. Localities, qualify as opportunity zones if they have been nominated for the designation by the state and that nomination has been certified by the secretary of the US treasury. So here is how it works, without going too much of the technicalities. You recognize 100,000 dollar profit or a capital gain on the sale of stock. By investing just the capital gains or 100,000 dollar profit, not the entire sales proceeds. Just this 100,000 capital gains, in an opportunity zone fund. And in exchange of that investment getting opportunity zone shares. You can postpone your taxes on these capital gains. At least until 2026. In general, how this works, if you hold the opportunity zone shares for about five years. Then you get a reduction in about 10% of the capital gain tax. So technically you were paying capital gain taxes on 100,000. The 100,000, if you hold these opportunity zone fund shares for 5 years, will be reduced by 10% or to 90,000 dollars. Additionally, if you hold these shares for seven years, you get a further reduction of 5%. So your capital gains goes down from 100,000 now by 15% if you hold for seven years and it goes down to 85,000. So you only pay capital gain taxes on the 85,000 if you hold these zone fund shares for about seven years. The beauty about this is also, if you hold the opportunity zone shares for ten years or more. You can actually exclude all appreciation in the value of these opportunity zone fund shares. I just want to clarify, you can include the appreciation of the value of the opportunity fund shares and not the entire deferred gains. The entire capital gain. Just to go kind of go back to some numbers. Say that you have that 100,000 of profit, you invest it in an opportunity zone. You get shares in exchange. And now say these shares, you have held on to them for 10 years and they have grown from 100,000 to 125,000. So that 25,000 of growth, when you held these for 10 years, is going to be non-taxable. In addition, because you held it for more than the seven years stipulation that we mentioned. You get that 15% reduction. So now, instead of you paying taxes on 125,000. You only pay taxes on the 125 minus 25 that's 100. Minus 15% of that, that's 85,000. So essentially you're just paying capital gains taxes on 85,000. If you hold it for basically ten years or more. It's a little complex topic, we actually have a detailed blog our website, on opportunity zones and the tax benefit associated. So if, you just go onto myrawealth.com/insights. You should be able to find it there. So again myrawealth.com/insights. We'll put that in our show notes as well as a topic for sure curiosity. Aris, tell us, you're very financially astute, you've made some good decisions through your years. What have been your chief information sources in that sense? I know initially you mention, you were speaking with some family members that were here and established. And you were getting some initial guidance from them. You also mentioned working with kind of advisor to get some detailed guidance. But are there any other sources of financial information you feel we should share with the listeners? Aristide Toundzi: I think there are a lot of financial advisors out there, and then there is always the perception that, their fees are very high. Sometimes it's not the case. In fact, some companies actually offer that as a perk and a lot of employees don't take advantage of. But definitely something that, I would encourage everybody to do. So if your company offers a financial advisor, you should take advantage of it and you can really make a difference on the long run. But I mean, that's has probably my source of information. Family and friends, the corporate financial advisor. And then information online. There is so much information on there. Sahil Vakil: Are there any specific sites you go to, to get your financial information? Maybe the Wall Street Journal or any other kind of sources? Aristide Toundzi: Well, MYRA Wealth. I like the blogs. Honestly, I think the topic that you cover, on the money. Things that we should explore. I really appreciate that. You taking the time to hush that out for everyone, and you really adding value there. But I would say, advisors like that, we also use Mint. They have some good services. There is a lot of information online, lots of websites. Sahil Vakil: Okay, great. Now Aris, we're going to into a little of story time. I know you're a great storyteller. I'm going to ask you for, four stories, if you don't mind sharing. They can be from any time. From your childhood, from your current day, from any time in your life. Are you ready? Aristide Toundzi: Thank you for the vote of confidence. I don't know if I'm such a good storyteller but I'll do my best. Sahil Vakil: Okay. So the first one is, tell us a story about your best financial decision? Aristide Toundzi: Best financial decision? My wife and I we're looking for a house, our first house. And we're on the market and we're looking around and we're not really getting anywhere. It's a big capital outlet, our first transaction and we're a little nervous. We see this agent, and he takes us to a house. He looks at us and then he is like, the wife makes the decision here. He pulls my wife and takes her in front of the house and then, they look at the view. And then my wife just kind of falls in love with the house. And I was like, we're going to buy the house. And I hadn't done necessarily the financial modeling and all the due-diligence. But it turned out that it was a really good decision kind of trusting her instinct. Because, that turned out to be a pretty decent decision financially. So made a pretty good decision on that one. Sahil Vakil: So you're saying your first home purchase was probably your best financial decision? Aristide Toundzi: I would say so. Sahil Vakil: Okay, that's fantastic. Tell us about your worst financial decision in that sense. Aristide Toundzi: Was probably when I got to this country. Not sitting down with a formal financial advisor. I think there are so many investments I could have made sooner, knowing what I know now. That is not just something that I saw people doing around me at the time. I didn't do it. But if I was to go back, when I got here, that would have been the first thing I would do. I would pretty much sit down with a financial advisor and map out those kinds of longterm and midterm goals. And then get a plan together to get them accomplished. Sahil Vakil: So at MYRA Wealth we too take a goal based approach to planning. I mean, during one of our first meetings with our clients, we sit and identify their short term, midterm and longterm goals. In most cases, our clients always provide a very qualitative discussion of these goals. They might say something along the lines of, my goal is to retire early and live in a beach front property. They might say, my goal is to ensure the best education for my children. Again these are very qualitative. We pretty much take these qualitative goals and we help them convert them into quantitative goals. By assigning amounts as well as timelines to these. For a goal on like, retiring early and living on a beach front property. We might as, at what age do you think you want to retire early? Is it 30 years, is it 40 years, 50 years and then we assess what the time of horizon is. Between today and that stage. We also ask, where do see this beach front property in your dream? Is it in Miami, is it in Hawaii or is it in your home country? Just be digging a little deeper, we're able to kind of identify specifics of the goal. Then we're able to basically able to track these in very quantified manner. Someone like 30 years old today, and wants to retire at 50. We know the time horizon is 20 years. And we can estimate their annual living expenses at retirement and based on those quantitative numbers, identify the estimated savings they might need to make this happen. If they need to retire early or buy that beach front property. Even for the homes, we would basically ask deeper questions like, we identify which city, the size of the home. I try to quantify as much as I can. You need a mortgage, can you buy outright, et cetera. Then basically convert all these qualitative goals into quantitative aspects and try to track and help them achieve them. I'm in complete agreement that goal based financial planning and investing is the best approach in that sense. Aris, so tell us your best and worst financial decision, but has there been a time in your life when money has given you happiness. Have you been extremely happy. Has there been a moment of happiness as it relates to money? Aristide Toundzi: Well, I think, there have been moments. It's really when you're able to make a difference in somebody's else life by using whatever resource you have to provide financial support. If you're able to contribute to somebody's education back home, if you're able to help somebody in need. That brings some level of happiness. I wouldn't call out a specific one, it's been moments of happiness. Every time you were able to afford, sending a wire transfer to somebody in need. I mean that brings happiness. Sahil Vakil: For the wire transfers, do you have a preferred vendor or how do you typically go about doing those? If you don't mind educating, touch a little on that? Aristide Toundzi: I think with that part of the world, Africa, I mean you have a couple of big players. You have MoneyGram and Western Union. WorldRemit is also growing a presence. Those tend to be the typical vehicles for remitting as they called. Sometimes you may do a proper wire transfer from bank to bank. But most people send remits through those companies. Sahil Vakil: For our listens, there are several options for remitting money across borders. The traditional methods typically include, using a bank or a credit union to spend wire transfers, ACH payments to people in foreign countries. There are also these new online services that transfer money digitally. Such as Western Union, there is also another one called XOOM. Actually XOOM is now owned by PayPal. They allow you to transfer money cross borders. There are certain limits on some of these transfers. Just be careful, if you have larger amounts, then maybe going through a bank or credit union might make sense. Other ways you can do it, you could simply also have money orders or checks that are mailed and sent by courier to the recipient. Again that's very old school. I don't think I have seen a lot of people use that anymore. Sometimes, I have also seen people use prepaid, debt or gift card that they can mail out by courier to the recipient. Again these are zero transaction fees for foreign transaction types of cards. That you can also send across borders. Then again we have, a detailed blog on our website on remitting money across borders. If, you visit myrawealth.com/insightswebpage. You should be able to find there. So just moving along in that sense, I think you gave us some good stories. Thank you for sharing. I'm just keen and curious to know, do you follow any rules with your money. Like do you have any kind of save 20% of your paycheck or buy a house that's like X amount of dollars? Do you follow any rules with your money at all? Aristide Toundzi: Not as sophisticated as other people, but I would say- I mean the simple idea is to save as much as you can and then invest in kind of long term assets. So that can be some investments here in US or some investments back home. It's that simple for us. Sahil Vakil: So you basically like to diversify not only in the United States but also back in your home country. Is this then tied to your goals? Is your goal to go back to Cameroon eventually, and is that why you invest there. Or are you just investing in Cameroon in order to give back to society there or is it just from a diversification perspective? I mean what's the thought process there? Aristide Toundzi: I think part of it is diversification. Obviously you want to diversify your risk portfolio. Also, along with the direct investment there is everything that comes along with it. Like when you invest you have all the relationship that come with it. There is a contribution that you're making to a development to that part of the world. And a lot of pride as well that comes from it. There are lots of benefits in making those investments back in Africa. Sahil Vakil: I think we're coming to a close this podcast. And thanks you for sharing your story, Aris. I always like asking this before we close. Is there anything I should have asked you but didn't? Aristide Toundzi: Maybe about my passion for real-estate in Africa. Sahil Vakil: Yeah, please, tell us more about that. Aristide Toundzi: When you think about the 50 biggest cities in Africa. There is tremendous amount of potential there in terms of real-estate development. You look at the demographics, you look how the middle class is growing there, the shortage of real-estate asset. There is a tremendous amount of opportunity for players. Either local players or players from the US and other countries. That opportunity is there. So during my time at Wharton we analyzed that opportunity is there. A lot of people are starting to move in that direction. If people have an interest, a lot to explore those opportunities in more detail with them. But it's definitely something that will be big the future. Sahil Vakil: Aris, do you mind if you then you share kind of contact information? Or do you have a fund that you have set up or do you have business that you run in terms of helping people invest in Cameroon? Do share details, I'll put that in our show notes. Sahil Vakil: I think one last question before we call this podcast to a close. If you had to leave our listeners with one finally take in managing their personal finances, what would that be? Aristide Toundzi: I think I would say, distinct discipline. I think somebody can afford a service of a professional. It would be money well spent. Because, the mistakes can be very costly. The right decision can pay off tremendously. And so, if somebody has the time and can afford a bit of the fees, I think it's really money well spent getting a service of a proper wealth manager. Especially for people from abroad, moving into this country. There are a lot of opportunities in the system but a lot of pitfalls as well. So getting the service of a trained professional can give tremendous dividens. Sahil Vakil: Excellent. Thank you so much Aris. It's been a pleasure having you on this podcast. Thanks for listening to the Myra Wealth Podcast. Now it's your turn to better manage your money and make smarter financial decisions. Just remember, you're not in this alone. Myra Wealth is here to help. Visit us at MyraWealth.com to learn more. That's M-y-r-a-Wealth.com and get started today.